For complete privacy and screening for your garden, choose traditional close-board fencing. Known for its high quality, this type of fence is extremely strong as it is formed from partially overlapping, vertical, feather-edge boards. 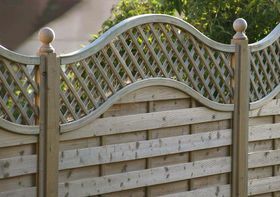 Traditional close-board fencing is also renowned for its attractive appearance. 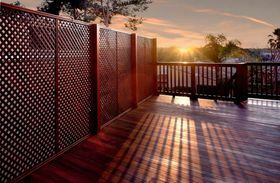 Designed to create an attractive pattern as well as increasing strength, this type of fence is created by overlapping horizontal panels before adding vertical wooden posts at regular intervals. Using layered panels also increases privacy. 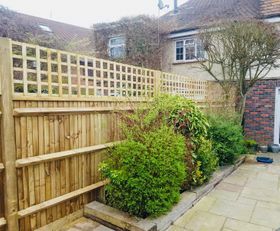 With a traditional style and gaps left between the pales, traditional picket fencing is the perfect option for marking out boundaries. The gaps allow for light to pass through and people to see through the fence while the style means it blends in with any property or garden. 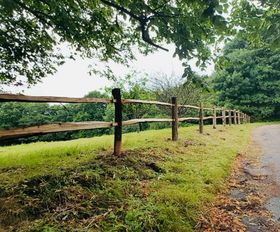 Often used in the countryside and to determine the boundaries of farmland, post and rail fencing offers a rustic and attractive appearance. The fence is made with vertical posts being inserted into the ground at regular intervals and thin, horizontal panels being attached between them. Whether used to form boundaries in gardens or to allow climbing plants to thrive, trellises are an attractive addition to any outdoor space. Primarily, they come in 2 varieties: with horizontal and vertical posts or with diagonal, crossing intersections. 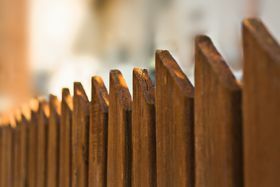 Contact us now, in East Grinstead, West Sussex, to acquire assistance in choosing the right fence or gate for your property.